See a collection on flickr of more photos from the SAE@ASU event. 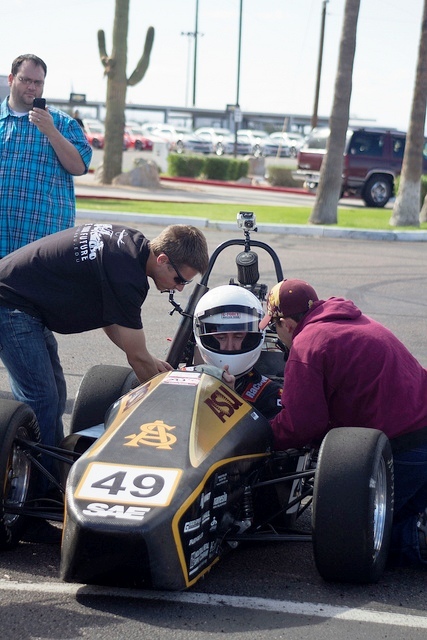 Arizona State University’s chapter of the Society of Automotive Engineers – SAE@ASU – recently showcased its progress. More than 60 sponsors and other supporters of the chapter came to the first SAE@ASU Press Day Nov. 10 at the Bondurant School of High Performance Driving in Chandler. The chapter has grown to 90 members, tripling membership in the past two years. In 2010 the group had just one ongoing project to prepare a vehicle for an automotive engineering competition. It has since assembled four design teams to work on four separate competition vehicles. Demonstrations of the projects were part of the Press Day event, highlighted by a drag race between the SAE@ASU’s 2012 Formula racecar and a Bondurant Chevrolet Camaro SS. The ASU car won. The Bondurant school is among sponsors and partners whose support has enabled the chapter to boost it activities. Many projects have relied on materials provided by Industrial Metal Supply. Other supporters have included Local Motors, U-Haul, Avnet, Boeing, Goodrich, K-zell Metals, Profiles Tool & Engineering, Engineering Science & Analysis Corp. BAE Systems, Namesilo, Phoenix Analysis and Design Technologies), GoodSpeed Performance lab, Brandwood Cars, Kelly Controls LLC, and Jpro Studios. Chapter members are seeking to enlist additional sponsors and partners, hoping to recruit professional engineers and faculty members to conduct workshops and seminars for students on automotive design and technology. The extracurricular training “helps put our younger members on a fast track to getting real-world engineering experience while expanding the technical skills of senior members,” says SAE@ASU president Wade Gyllenhaal. The students are also looking for additional team mentors and for engineers to provide design review for the chapter’s projects, Gyllenhaal said. SAE@ASU has become more than simply an extracurricular pursuit for students, says the chapter’s faculty advisor, Steven Trimble, a professor of practice in the School for Engineering Matter, Transport and Energy, one of ASU’s Ira A. Fulton Schools of Engineering. The chapter is an integral part of ASU’s mechanical and aerospace engineering program, providing hands-on engineering and leadership opportunities that complement students’ coursework, Trimble says. 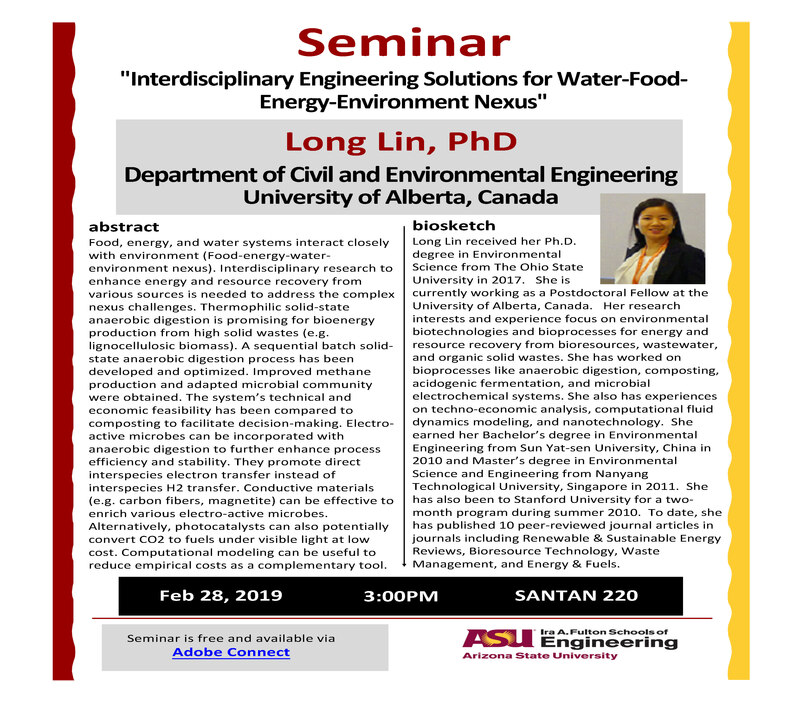 SAE@ASU “is getting freshmen and sophomores involved in engineering projects early in their academic careers, and that is helping significantly improve student retention rates,” he says. 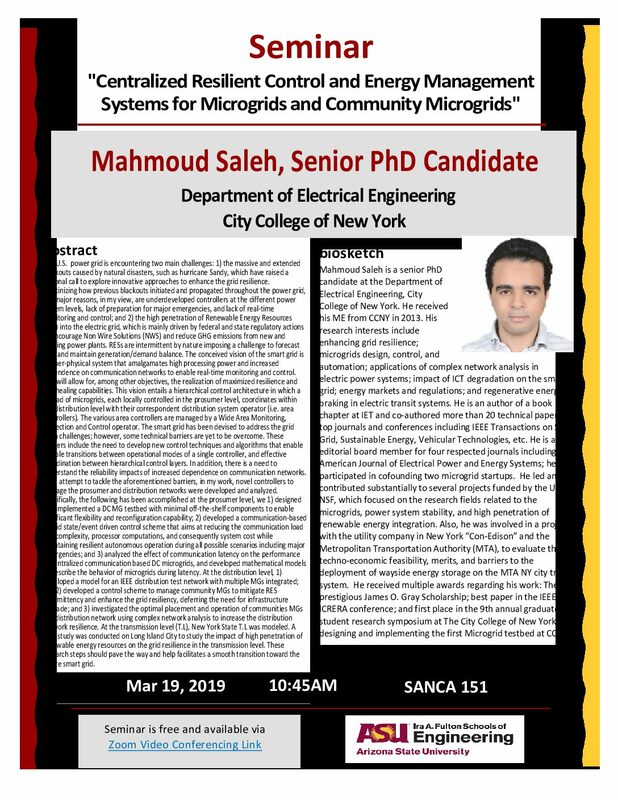 The chapter’s activities are also providing students a source of ideas and knowledge they can apply to projects for their important senior capstone engineering design courses.